The Omagh St Enda's man didn't feature at all during the recent Allianz League campaign where the Red Hands narrowly missed out on a place in the Division 1 final. Now, the 26-year-old has revealed he will be stepping away from the county side and will instead focus solely on club football. 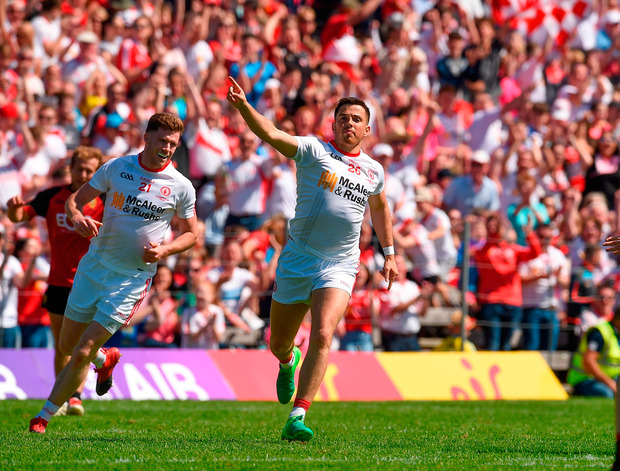 It's been a frustrating time for O'Neill with Tyrone, who was tabbed as one of the rising stars within the system after winning the All-Ireland Championship with Tyrone's minor side in 2010. However, he failed to nail down a starting spot within the senior side and, despite scoring in the 2017 Ulster Championship final, never saw any consistent game-time.